Cummins® 24V Diesel Without Damaging the Threads. Improved design removes injector cross over tubes in seconds. Removing the feed tubes on the Cummins® 24v has always been a pain. The injector tube threads are recessed in the head and they are an oddball size so a special tool is required. The threads on the tube are a modified 16MM. No taps exist to make this thread. The thread depth and pitch have to be programmed into a CNC turning center to make the connector tube removal tool. The only current tool on the market leaves a lotto be desired. First off, the diameter is small which is difficult to use. Secondly, you can't use the tool as a jack screw. 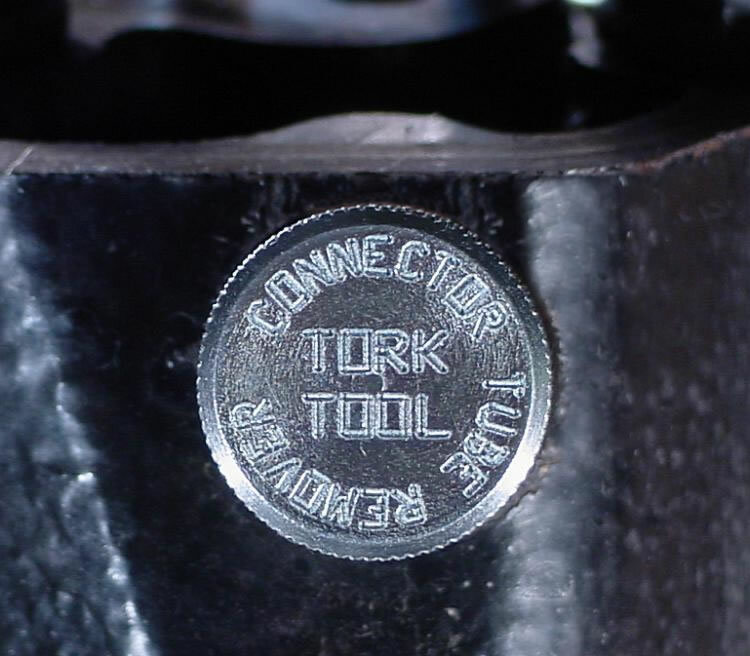 Our tool features a large knurled head that gives you something to pry against for those really stuck Cummins® injector tubes. The 24VCTR010 Cummins® 24 valve connector tube remover is the only tool that works every single time. Turn the tool onto the injector tube. When it bottoms out in the head, turn the tool a few more times and the connector tube is removed - undamaged! New Cummins® connector tubes cost more than $30.00 each. The 24VCTR010 will pay for itself the first time you use it! All that for only $17.95. ORDER YOURS TODAY.